1 GHz; 20% faster processor than other leading eReaders. Over 3 million eBooks, newspapers, and magazines. 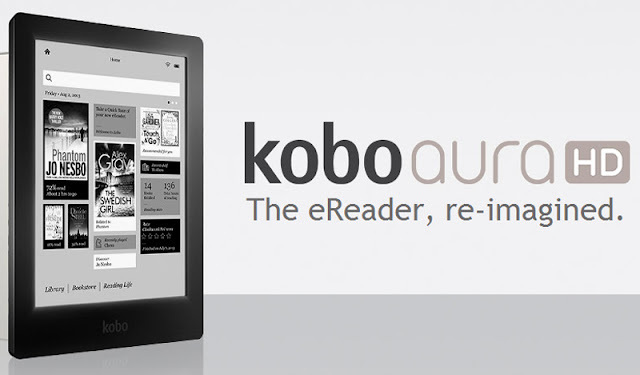 Your Kobo eBooks are stored safely in the cloud; retrieve them at any time. Your bookmarks and more are seamlessly synced across all your Kobo eReading apps and devices. Includes Reading Life™. Track your Reading Stats and share what you're reading, favourite passage and Reading Life awards to Facebook® Timeline. Personalized eBook recommendations that change as your tastes do. Optimize Kobo Picks by providing your feedback. TypeGenius, Kobo's font experience with a choice of 10 font styles, 24 font sizes, and adjustable font sharpness and weight. Includes Kobo's exclusive font Kobo Nickel, designed for crisp, clear readability. Highlight text, take notes, share to Facebook. Library personalization, predictive search, brightness controls, double-tap PDF zoom in, and SimpleTurn for comfortable page turns. English, French, German, Spanish, Dutch, Italian, Brazilian Portuguese, Portuguese, Japanese. Free Kobo apps for Mac and PC, Apple®, Android™, smartphones, and tablets. Easily set-up Kobo Aura HD just a few simple steps from your computer or directly from your Kobo Aura HD using Wi Fi.